Jackie Bennett is a Kamilaroi, Bigambul woman from St George in South West Queensland and is a wife, mother of 4 beautiful adult children and a grandmother of 6 gorgeous grandchildren. 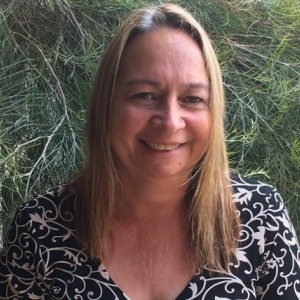 Jackie has recently been employed by Melbourne University as the Regional Implementation Manager for the Moreton Bay Region in South East Queensland to Implement the First 1000 Days Australia program into the Moreton Bay Region. 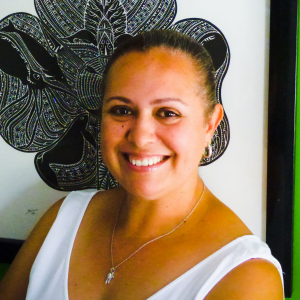 Jackie’s past employment history includes being employed as the Cultural Diversity Advisor for C&K in Brisbane and Site Coordinator in Townsville for Good Beginnings Australia. In these roles, she has demonstrated her commitment to engaging families and children into educational programs and educated early childhood educators about the importance of Embedding Aboriginal Perspectives in their classrooms. Jackie was sponsored in 2016 by Educational Experience to participate in the Global Leaders for Young Children Program which is part of the World Forum Foundation. Since becoming a Global Leader Jackie has also been involved in the World Forums Indigenous People’s Action Group and a World Forum National Representative for Australia. Jackie is currently the Vice President of the Koobara Aboriginal and Torres Strait Islander Kindergarten and Pre-School Board which has been in operation for 43 years. Anne Taylor was born in Ayr, Queensland and raised across the river in Home Hill and has spent the last 20 years living in Townsville. She is of Irish and Torres Strait Islander descent with connections to the Dauer Meriam tribe from Mer (Murray Island). With her partner Lee Douglas, they are blessed with 3 beautiful daughters aged 21, 12 and 9 and spend most of their time supporting their daughters with their soccer commitments.